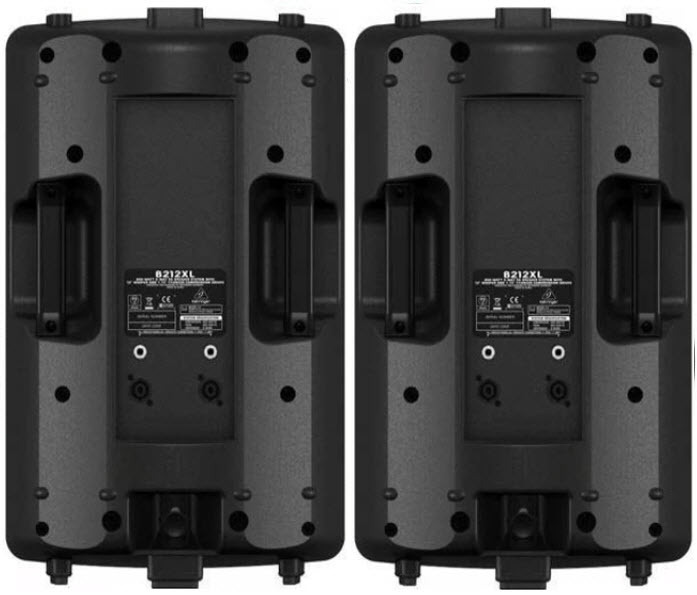 The Behringer Eurolive B212XL passive PA speakers put out big sound at a small price. Featuring an impressively low weight and built-in overload protection, the B212XLs pack a punch yet are easy to transport. Thanks to the cabinet design, the B212XL can be laid on its side for use as a stage monitor. 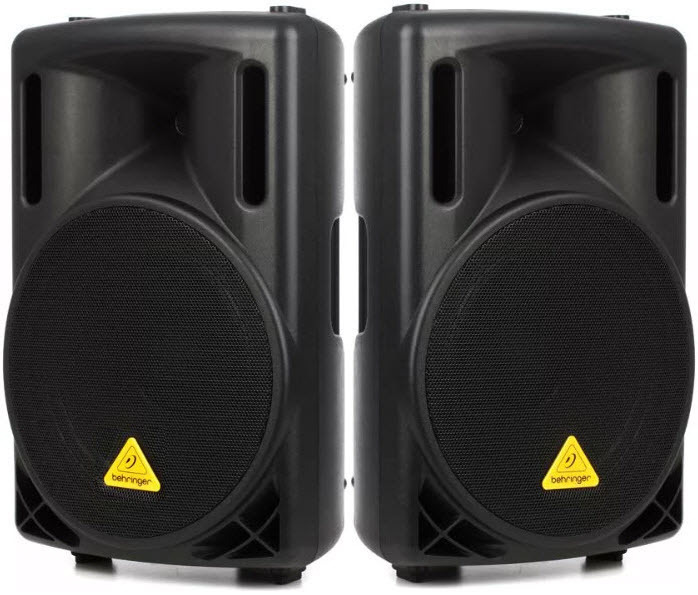 And with overload protection technology built-in to prevent distortion, you’ll always get a consistent sound from the Behringer Eurolive B212XL speakers. High Power, Low Weight: The B212XL sports a 12″ LF and 1.75″ HF drivers for low bass and crisp highs. The B212XL is rated at 200 watts program (800 watts peak) for big sound in a small size. At just 24 lbs., these speakers are easily transported. Built-in Overload Protection: Behringer’s B212XL speakers feature built-in overload protection circuitry to protect your drivers. Even if pushed to the limits, the overload protection will ensure that you’re not overpowering either driver for consistent playback and audio quality. Flexible Applications: The B212XL has both speakON and 1/4″ speaker inputs, wired in parallel so you can daisy-chain another speaker. 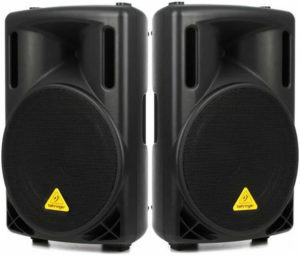 You can pole mount the speaker for use as a main speaker, or its wedge design lets you use it as a stage monitor as well.